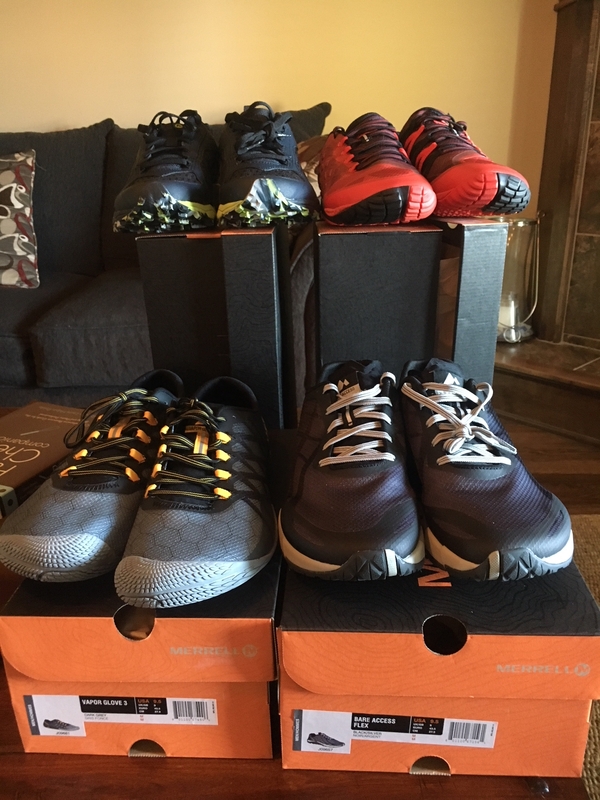 Earlier this year I got to test all four different models of Merrell’s trail running shoe line. I’m pretty picky about my shoes so as usual, I was skeptical. 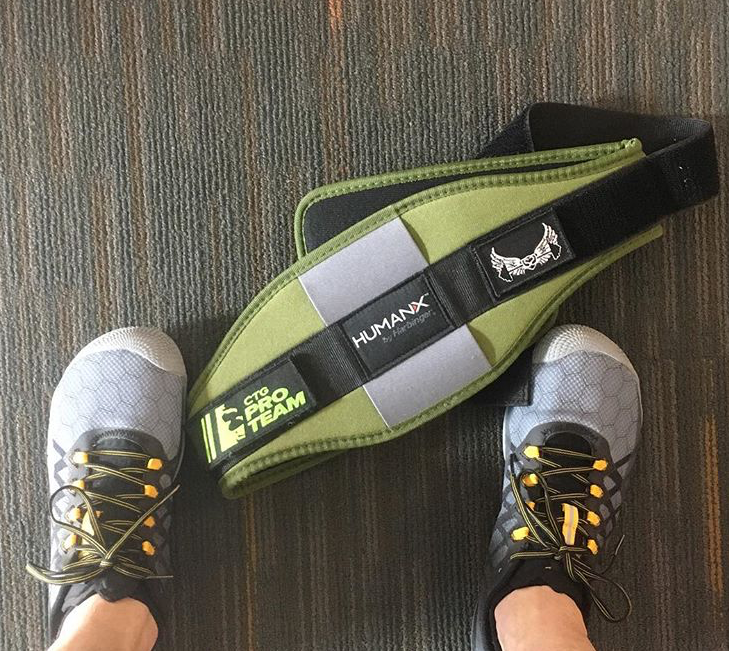 When I shop for an Obstacle Course Racing (OCR) shoes I typically look in the trail running section but look for a couple of specific features including things like weight, ability to drain water, traction and fit. The very first thing I check is the insole if it’s got a big cushiony insole I view that as immediate disqualification since I don’t want a giant pillow under my foot absorbing water weight at every obstacle. Right from the start Merrell got my attention with four models all without an insoles. Now that I was paying attention it was time to look a little deeper. Here is a rundown of the four models I tested starting with the most cushioned model and going down to the minimalist model. All Out Crush on Lake Geneva, WI. Many of you may be familiar with this product since it is the one that is branded with the Tough Mudder logo. While not officially called the OCR shoe, the All Out Crush is designed for OCR. This is the heaviest of the four models I tested but is still very light compared to most other trail running shoes coming in at a total of 8 oz. The All Out Crush has the best traction of the four and although I have not had the chance to test it on a muddy mountain course, I think the pinwheel traction pattern and 5mm lugs on the bottom would give me the grip I need. With a 6mm drop (difference in height between the heel and the toe) it is a good middle ground for any runner. I often run in zero drop shoes and feel like I can go up to 6mm without it feeling awkward or dramatically changing my running style. Author Note: The shoe was built and designed for OCR, I’m a big fan. 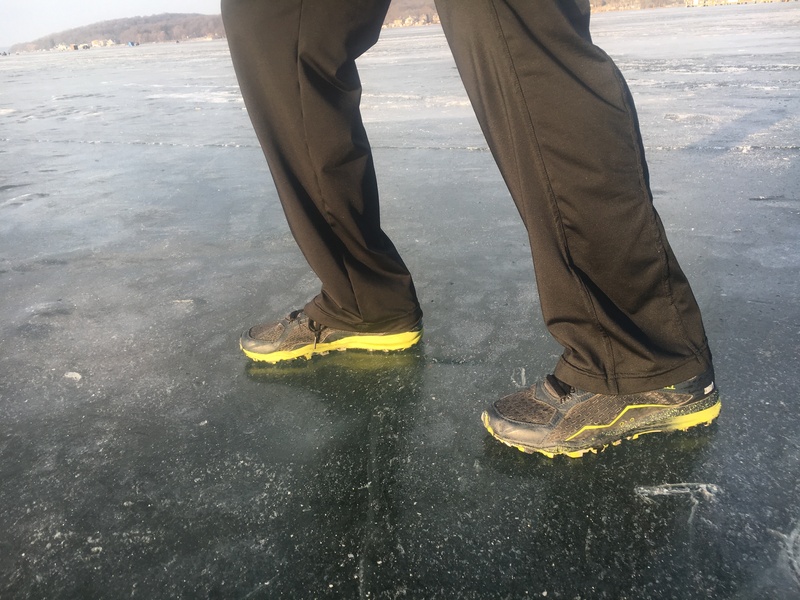 Here's a video of me testing them out on Lake Geneva, Wisconsin after The Abominable Snow Race. Bare Access Flex testing on a mix of trail and roads. Coming in at 7 oz. and zero drop it looked like this would be my favorite pair. A little less cushioning and a little less weight it looked like a great option. Although there were no visible drainage holes I didn’t notice draining as a problem when I ran my 2nd lap of Tough Mudder Wisconsin. The grip on the bottom (2mm lugs) is not as aggressive as the All Out Crush so these would not be good for a mountain or very muddy OCR. However, these are going to be my go-to shoes for Tougher Mudder courses that are flatter and with nicer trails. Author Note: No insole, lightweight, and good drainage but could use more traction on muddy courses. I found that just my left foot started getting hotspots when I exceeded 15 miles of running, so I ended up not using them for World’s Toughest Mudder. 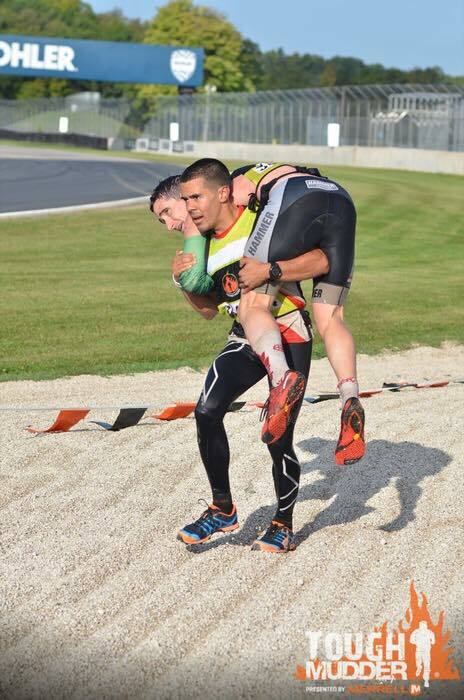 Conquer The Gauntlet Pro Jay Flores carrying the author who is wearing Merrell Trail Glove 4 during Tougher Mudder, WI. If you are a fan of minimalist shoes you’ll love the trail glove. It is a zero drop lightweight shoe. Just like all the models in this review, there is no insole. The lugs on it are slightly more aggressive (3mm) than the Bare Access Flex providing a little bit more traction. These are actually the shoes I wore for all 24 hours of World’s Toughest Mudder because of how light they are and how well they drained. Coming out of obstacles I never felt like my shoes got heavier or had excess mud stuck to the bottom, which is a problem I found with other brands with overly aggressive lugs. I should caveat these statements that for most people these shoes are going to have too little padding for such a long event, Merrell describes it has having a “sock-like feel for a locked down fit”. I didn’t think it felt as much like a sock but “locked down fit” describes how it fit my foot really well. Author Note: No insole, lightweight, good drainage, and good traction. While I gave it 4/5 stars for the general population, for me personally this was 5/5 stars and my favorite of the four. Leg day with the Vapor Glove. The Vapor Glove is a great shoe but probably not your choice if you want to run OCRs. It weighs just 6 oz. making it the lightest of the four. This zero drop shoe literally feels like wearing an extra pair of socks. Its lugs are 2mm but the pattern is not very aggressive. These are now my go-to gym shoe especially if training legs or doing exercises like deadlifts. The minimal padding means there is a solid surface between your foot and the platform/floor. They are also my go-to shoe to work on running form. The minimal padding and barefoot feel help promote a more natural forefoot strike without leaving your feet exposed to the dangers of actually running barefoot. If you like minimalist/barefoot shoes, I would put these at the top of your shopping list. Author Note: Great shoe for lifting or if you are a diehard minimalist/barefoot runner but still want some foot protection. I gave it 3.5/5 stars as it relates to OCR but they are a great pair of shoes that I’m going to get some good use out of over the next year. That’s a quick rundown of some of Merrell’s trail running shoe line. Despite some fairly abusive training and racing (ref Ultra-OCR Grand Slam), mine have held up without issue and still look like new (if I cleaned them off better). The biggest thing I liked about their shoes was the variance in models. As a brand, I give Merrell 5/5 stars. Instead of having to choose a single shoe type they models are like stepping stones. Each one provides a small change so you can choose the exact attributes you want for your training and racing shoes. To me, this is going above and beyond what other companies offer. Overall I love their line-up and love it even more that such a big name company has committed to making products for OCR. I’m sold, expect to see me racing in Merrell shoes in 2018. Team Merrell, Wesley “Dr. 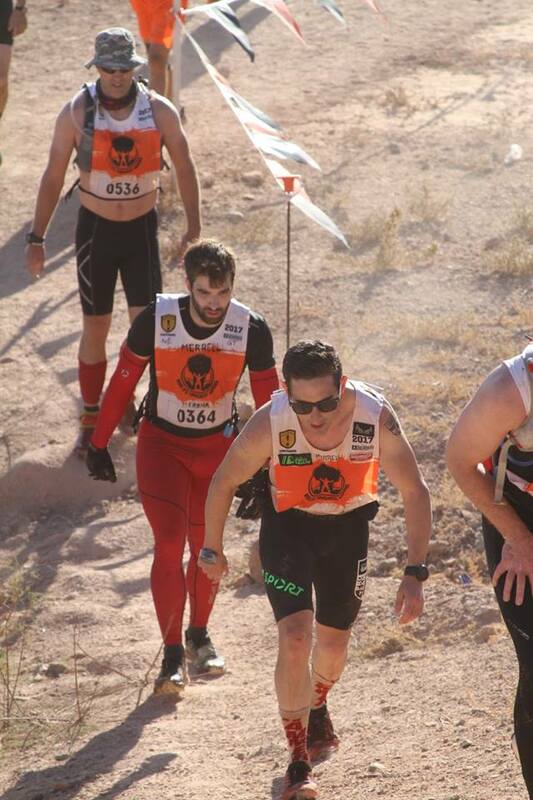 Red Tights” Kerr and Evan Perperis, at World's Toughest Mudder 2017 in Marena Sport compression and Merrell shoes. Jay Flores/Evan Perperis picture from official Tough Mudder Photographers. Actually, i am more of a fan of the All Out Peak. 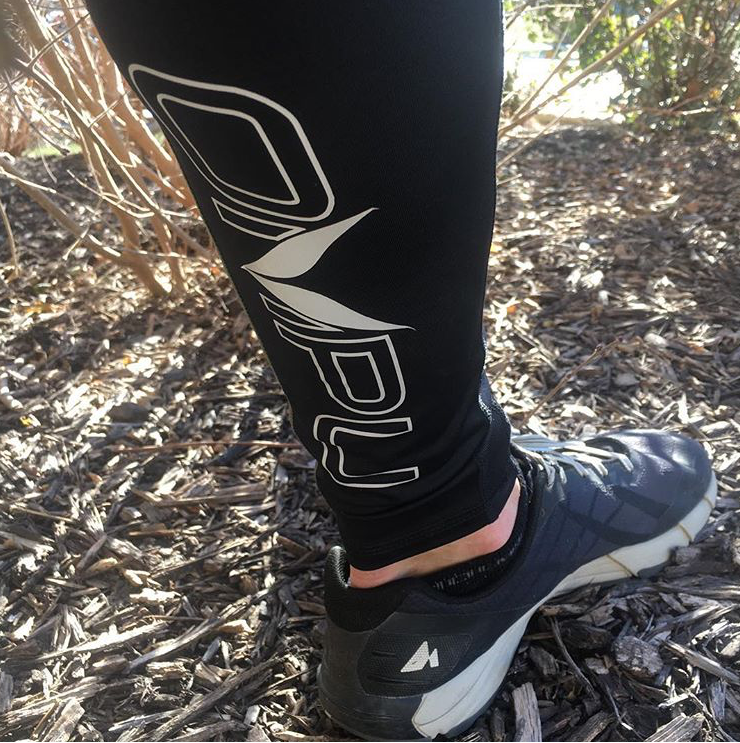 I have worn them through various Spartans, Tough Mudder, Savage Race, and other courses. I have tried other sneakers, but none were as reliable. Is the all out crush designed for shorter (Spartan sprint distances) or longer races (spartan super/ beast distances)? Jared. Since the shoe was branded with the Tough Mudder logo, I would say the designers had 10-12 Miles in mind when they designed the all out crush. I think it’s good for all distances of OCR. But if I had to pick one or the other I would say it’s designed for super/beast distance. That being said it’s really Athlete preference. I race ultra-OCR in the trail glove, which most people would not use due to the limited cushioning. Evan. 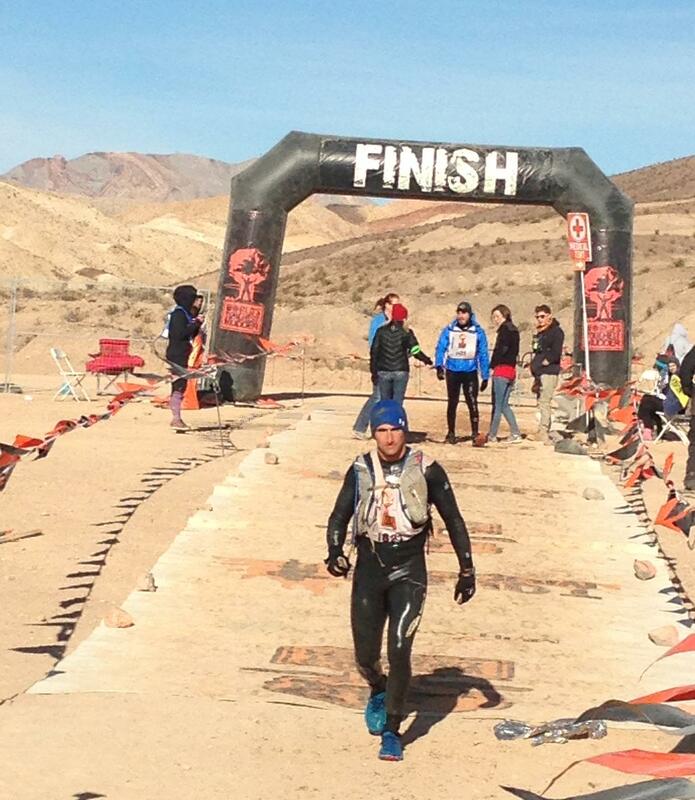 I signed up for the Spartan Ultra Beast in Tahoe in September next year. I tried the trail gloves and they felt great just running around but didn’t think they had enough grip for a mountain race. I live in Central Florida and have never trained for a mountain race so I have no clue of anything. What shoe would you recommend for that event? Thank you! Nathaniel if you want to stick with Merrell I would go with the All Out Crush 2 definitely out of the ones listed. I wore them at WTM this year with no issues in the mud. I haven’t tried the other Merrell shoes (at least not besides walking around the store) besides ones listed in this article.